For my wife’s birthday some weeks back, we went to a small, well-respected restaurant called Ngon Bistro. The chef presents a wide variety of modern French-Vietnamese dishes, which are to die for. I ordered beef brisket braised in a Vietnamese sate sauce and served over stone-ground grits. It was by far the best meal I’ve had at a restaurant in years. Stunning, really. After that experience, I began working on mimicking my meal there, and the recipe I’m posting here is getting close, minus the grits. They’ll come later. What I’m presenting here is basically how to make the sate, but I’ll leave it up to you what cut of meat to use and how to braise it. I used a basic brisket—that turned out to be of marginal quality—and slow-braised it in the sate sauce at 275 degrees for about 25 minutes per pound. While the meat texture wasn’t the greatest, the flavor was good and strong, but not overpowering. Now technically, the sate should be used as a marinade/baste for skewered and grilled meat, but it works quite well as a braising liquid. The Ngon chef is brilliant! The sate recipe I present is a blend of several types of sate recipes, one of which is from the New York Times. Depending on the piece of meat you’re braising, you may want to double or triple the sate recipe. I doubled the amount for the latest version that I made. 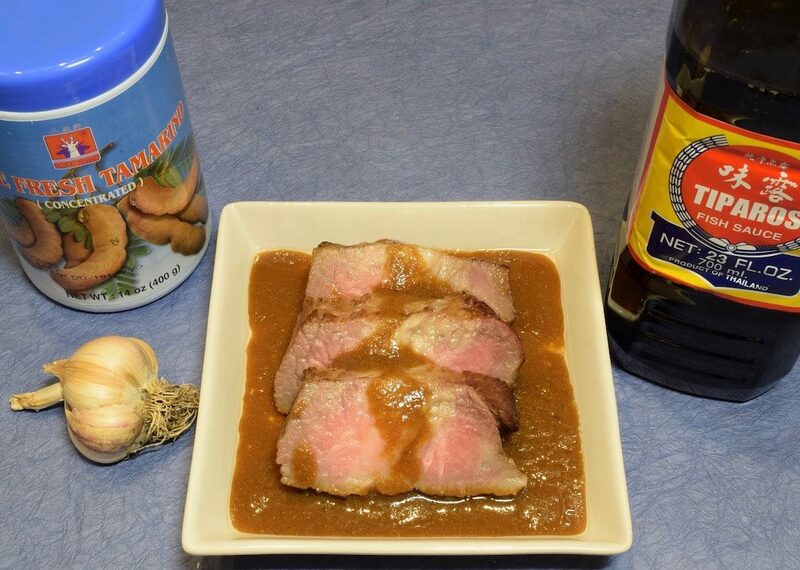 Combine the garlic, cumin, coriander, sugar and fish sauce to make a marinade. Marinade the meat for at least 30 minutes, but a few hours is better. Remove the meat from the marinade and add the tamarind paste (which is actually pretty liquid-like) and oil, then mix well. Add the sate sauce to the cooking vessel for the meat, and set the meat into the sauce. The meat should be sitting in at least 0.75 inches of liquid. If not, add enough water to reach that level and mix it in with the sate sauce. Cover (foil works) and cook the meat to the wellness you like at whichever temperature works best for you. Just remember that you’re braising the meat, and that you do want a lot of the sate sauce left over, not boiled away. When done, take the meat out of the pan and let it rest for 20 minutes. If the remaining liquid is watery, add it to a small saucepan and gently simmer it to evaporate the extra liquid. 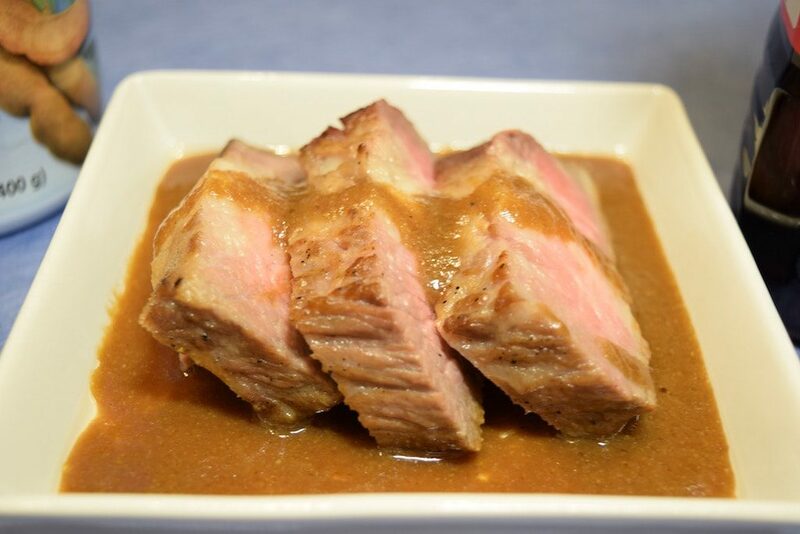 When the sauce is ready, slice the meat and serve it in shallow dishes with the meat sitting in the sauce.